There are many different breeds of duck and they don’t all yield the same product. Alqamar Farms raises White Pekin ducks, which have a tender, mild flavor that is not as “gamey” as other types of duck marketed in the United States — such as Muscovy, Moulard or Mallard. 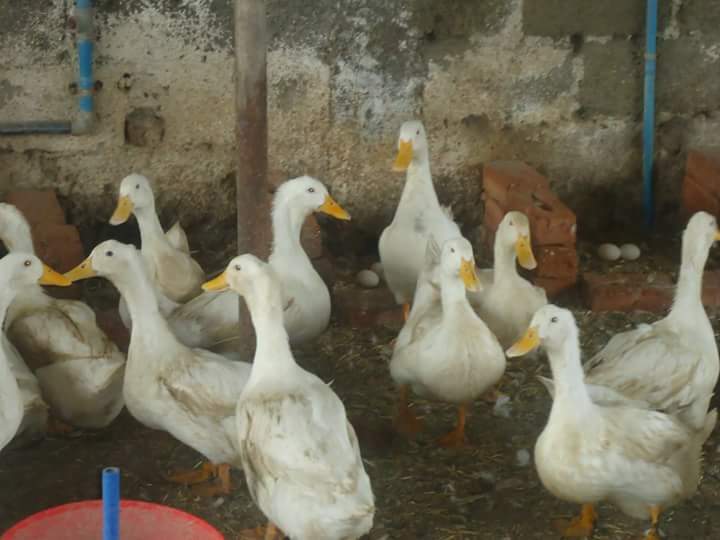 White Pekin is the type of duck Alqamar Farms raises. It’s the most popular breed raised in the United States. Years ago, White Pekin ducks were brought from China to Long Island, which served as the center of the U.S. duck industry. This is the origin of the term “Long Island Style,” which you may see on White Pekin duck packaging. White Pekin ducks offer a tender, mild meat that is preferred by most Americans and adapts to a wide range of flavor profiles and cuisines. The Mallard is a wild duck that is farm-raised on a limited basis. It is smaller and tougher than the Pekin. These ducks have very little fat, but often taste greasy.